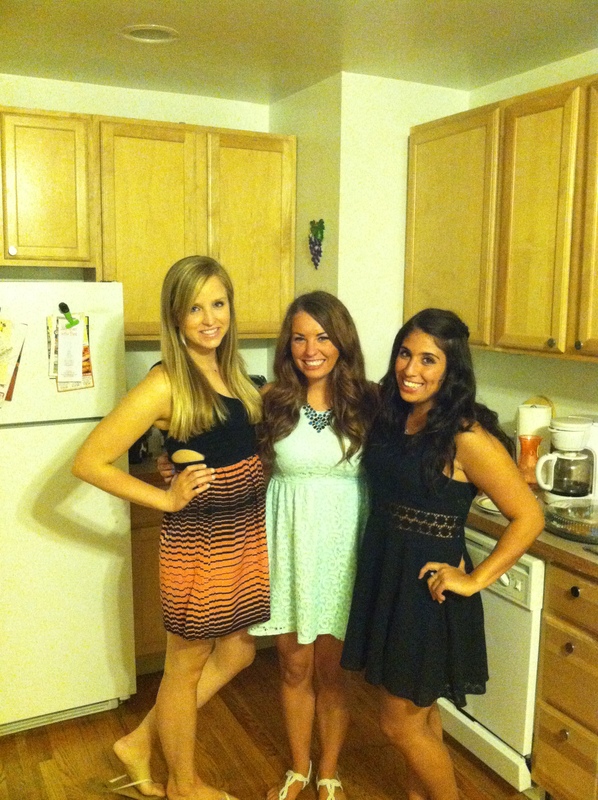 Megan’s birthday in the city! 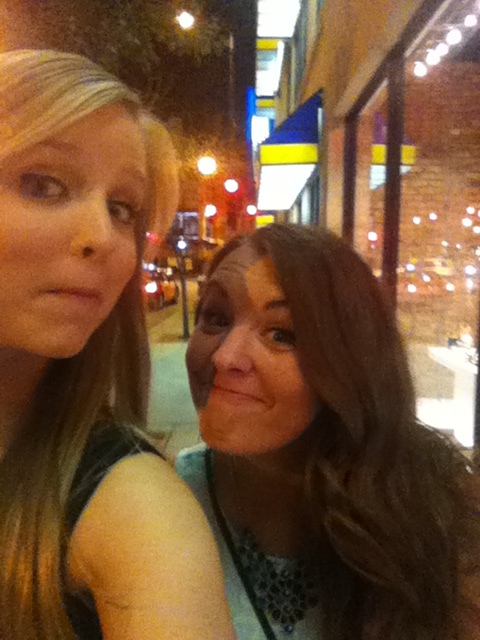 Saturday was full of birthday shenanigans (the best kind of shenanigans, of course). Before I went downtown to spend the day with Megan, I hit up my regular 8am spin class and came home to these beauties. 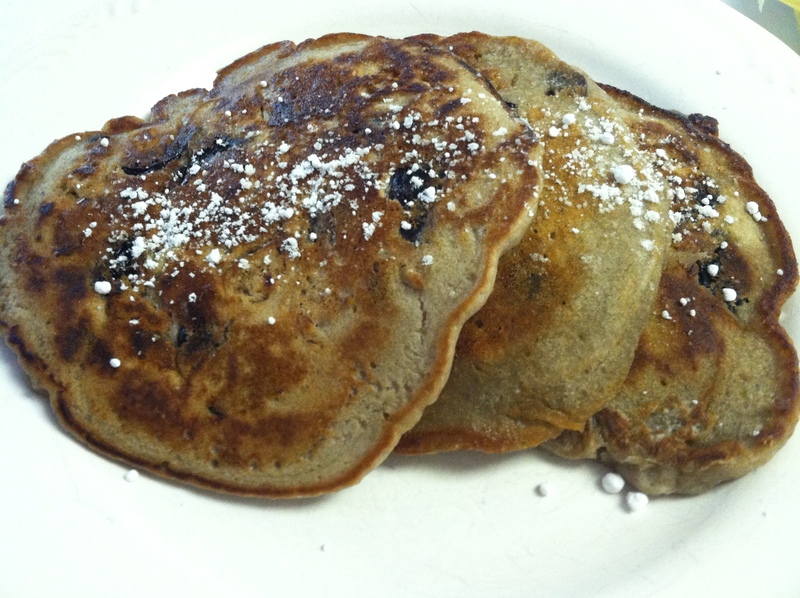 Cherry walnut pancakes a la Dad. We have so many sweet cherries from the farmer’s market so my dad decided to whip these up for breakfast. I ate pancakes on the back porch with my parents and it all made for a beautiful morning. 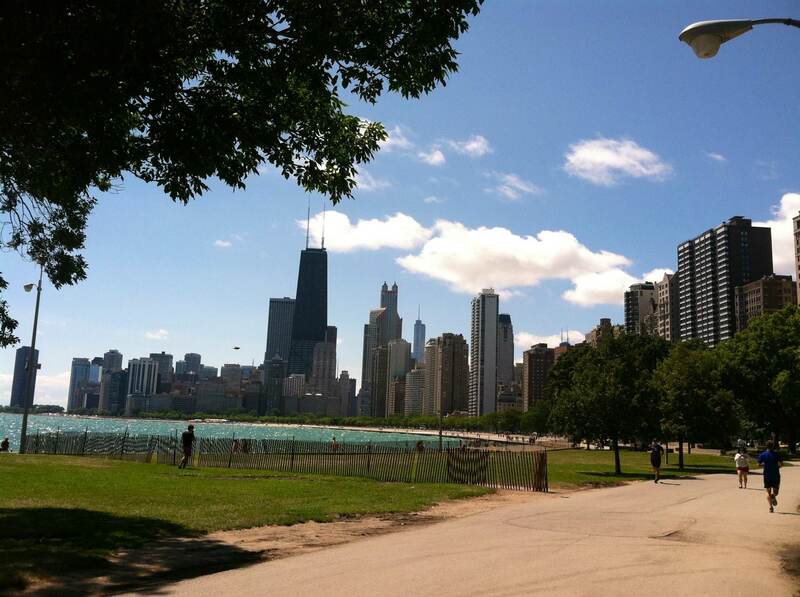 After some typical Chicago traffic I was in the Lakeview neighborhood and ready to enjoy the day. The weather was perfect, breezy and mid 80s, so Megan and I decided to walk to a coffee shop nearby that I’d heard of. 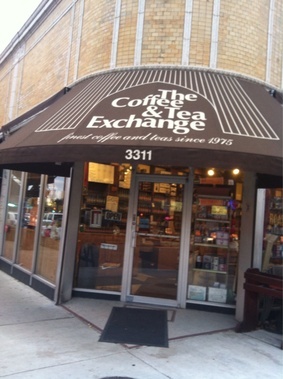 The Coffee and Tea Exchange has been open in the East Lakeview neighborhood since 1975. They offer tons of freshly roasted coffee from all over the world, all on display in barrels that you are encouraged to observe and smell. 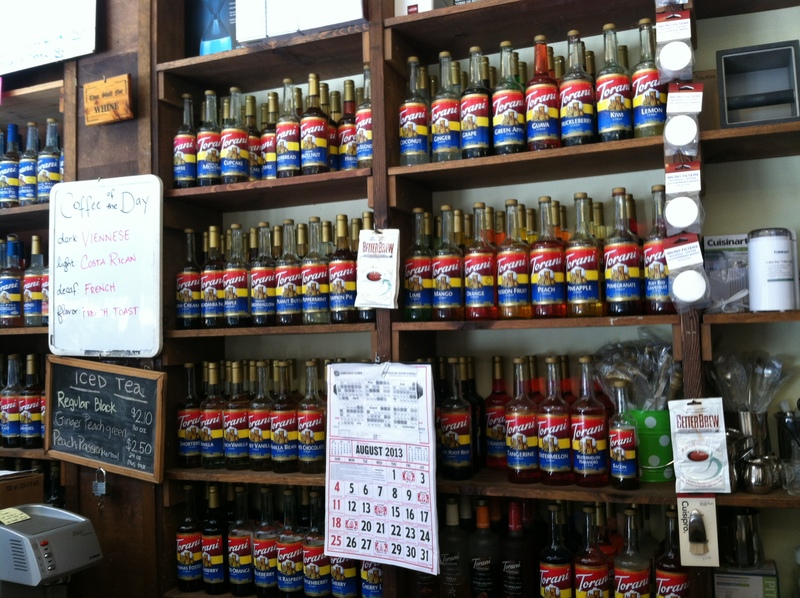 They offer every kind of Torani syrup known to man and have daily specials including “Rose latte” along with plenty of other creative concoctions. After a lonnnnnnnnng decision-making process, I chose salted caramel syrup (next time I’m coming for you, french toast!) 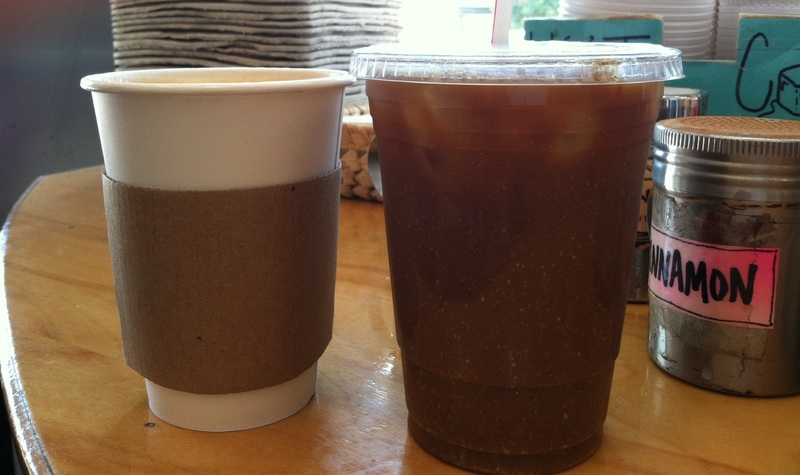 I had a salted caramel iced coffee with soy milk. It tasted like a dessert! Megan picked the rose latte, which I took a curious sip of, and it tasted exactly what you’d think a rose would taste like. It was not overpowering like I’ve found other rose-flavored desserts to be. 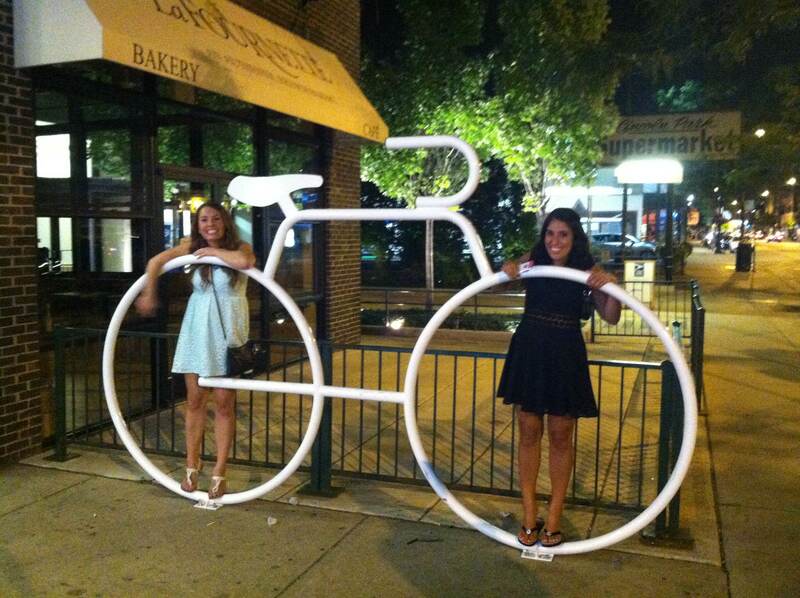 We took our coffee to go and walked the streets of East Lakeview. Megan and Christina just moved to the neighborhood so it’s been fun to explore with them. 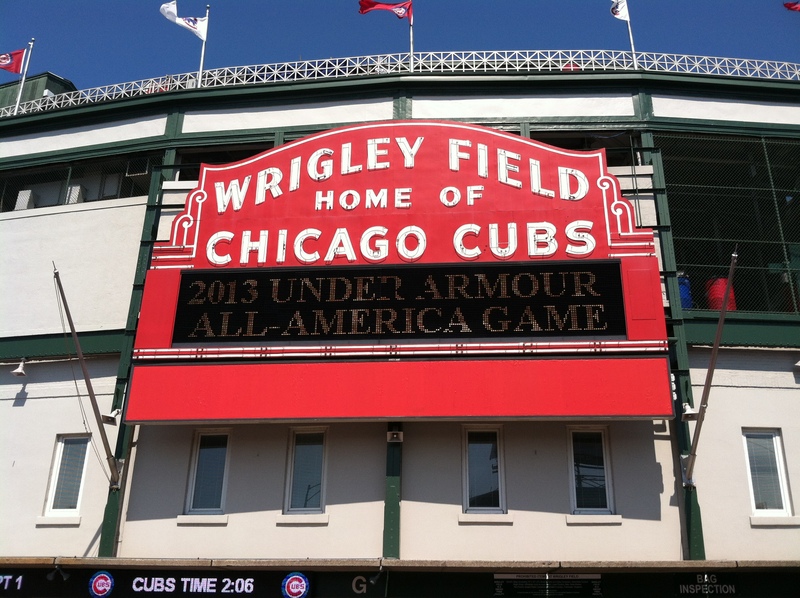 Our walk took us to Wrigley Field, and of course I had to snap a pic. 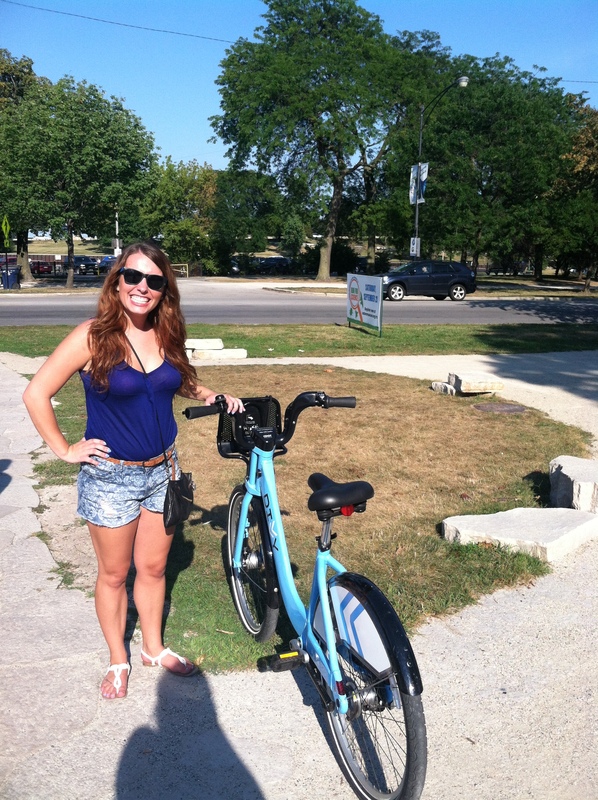 We grabbed some rental bikes near the lakefront afterwards and took the path from Lincoln Park all the way to Museum Campus, passing Navy Pier and North Avenue beach along the way. Contrary to this picture, the path was packed! It took us an hour to go less than five miles and we spent most of the time dodging runners and walkers, but regardless it was still a beautiful trip along Lake Michigan. The lakefront path is my favorite place in Chicago (although I suppose it’s not really a “place”, but I don’t know if you could find a more beautiful and scenic route in any other city). When we got back to their apartment I gave Megan her presents. 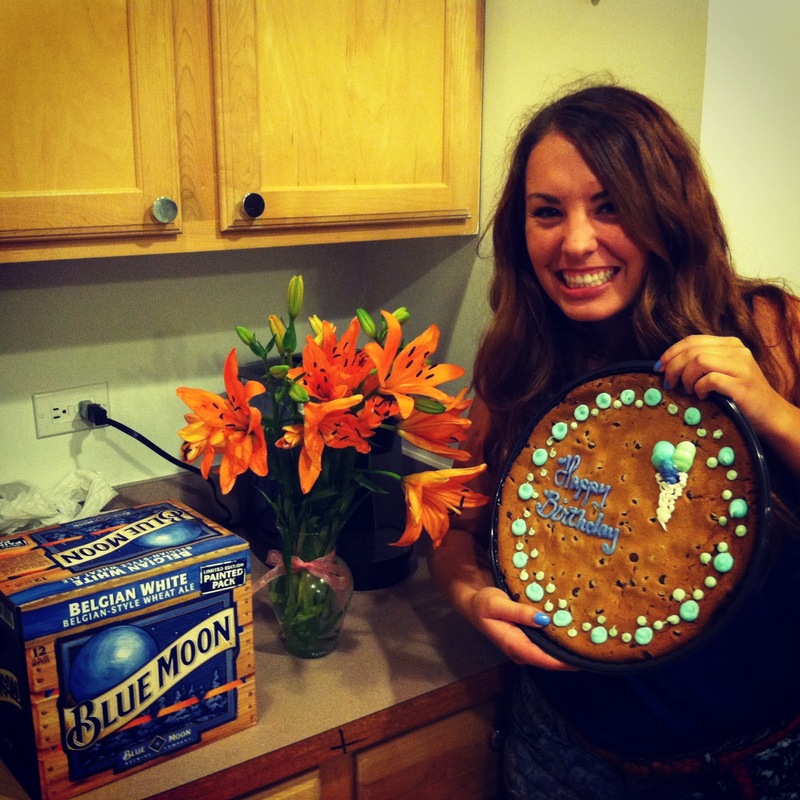 Blue Moon, cookie cake, and flowers. Such grown-up gifts. I remember when a birthday present meant a Jesse McCartney card and a new t-shirt from Aeropostale. 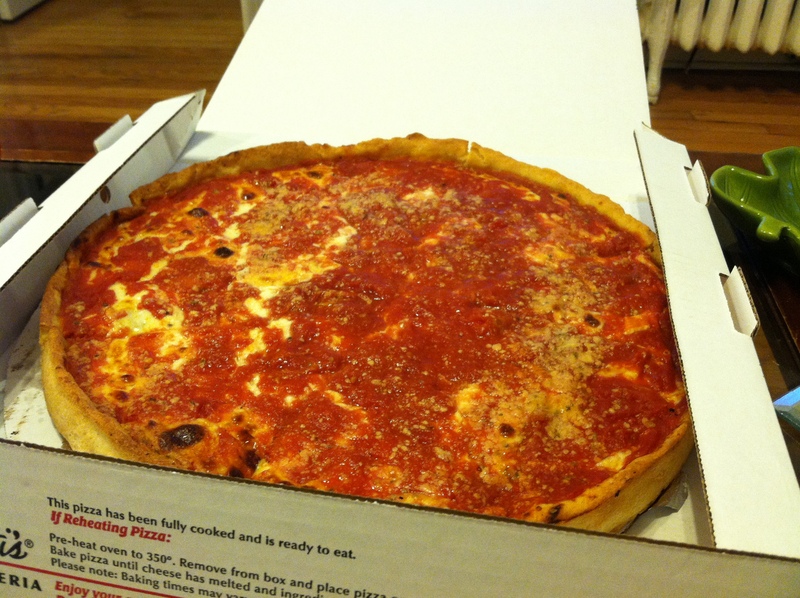 Lou Malnati’s while watch Tosh.0. You could be having the worst day in the world and Tosh.0 will have you rolling on the floor laughing. I loveeeeee that show. I love these girls like sisters and while our birthday celebration was nothing like turning 21 (haha), it was a nice night out with friends. Clearly I’ve been spending too much time in the sun. 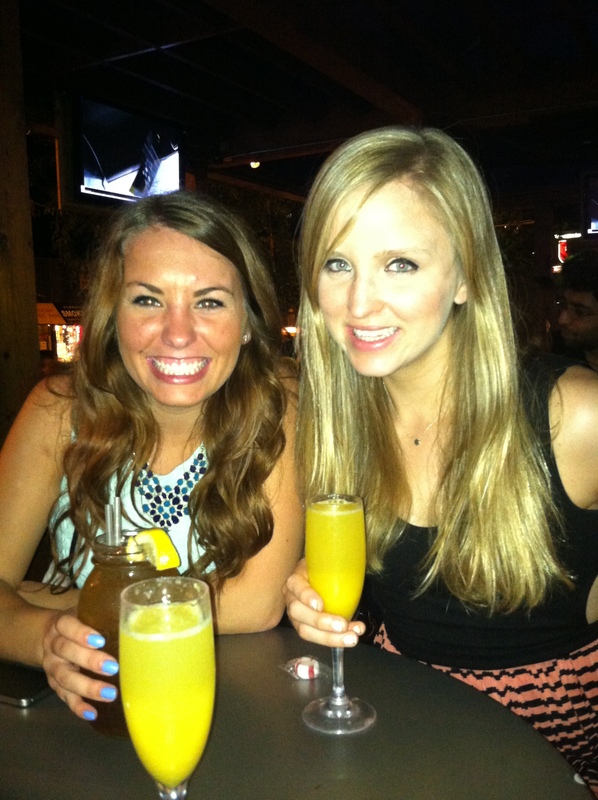 Happy Birthday, Megan! I love you! What was your favorite birthday (year)? I love that you two have remained friends for all these years. Such a beautiful relationship you girls must have ❤ Oh & those birthday gifts.. PERFECT!